With BYOD assuming its role as an industry standard, enterprises are now facing new challenges on how to manage their wireless networks, let alone the centralized management of branch offices. 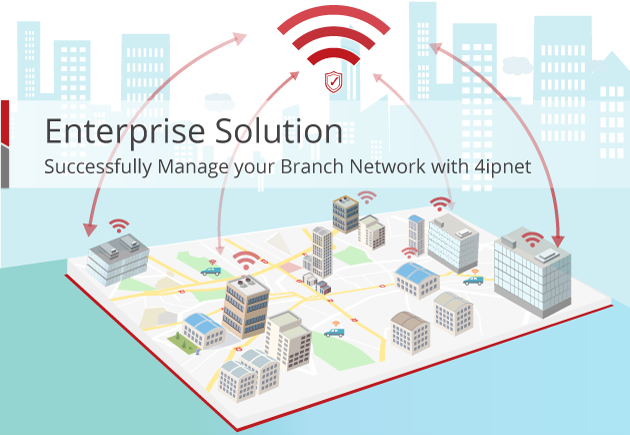 However, 4ipnet solution for enterprises provides a secure and reliable Wi-Fi with unified BYOD policies. A large Japanese company which has over 40 branch offices in Japan is having a pressing need to improve their network security, centralize management, and control the costs of branch networking. To fulfill the branch networking requirements, 4ipnet’s WHG Controllers were deployed at the enterprise headquarter with 2+1 High Availability for seamless network service and 1,250 pieces of 4ipnet’s APs were deployed at over 40 branch offices. By building complete tunnels between the APs and the WHG Controller, network administrators can ensure that all sites have the same user policies and network resource access. 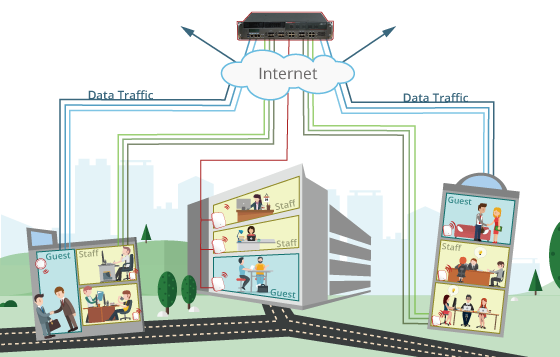 4ipnet’s WHG gateway-controller can be attached to two WAN links from separate ISPs for redundancy and load balancing purposes. Besides, the entire system can be deployed in High Availability, mitigating the potential lost productivity in the event of network downtime. And with the ability to configure backup AP management controllers for remotely managed APs, network administrators can guarantee seamless network operation and management.